Please feel free to use the map below to help navigate your trip to Evergreen, CO. Need a larger map or looking for park maps? 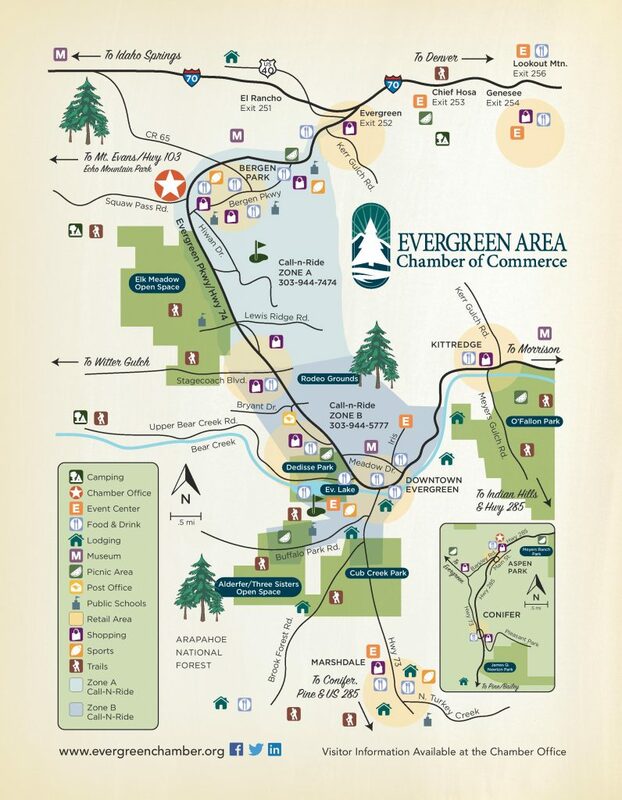 Drop by the Evergreen Chamber Visitor Center.